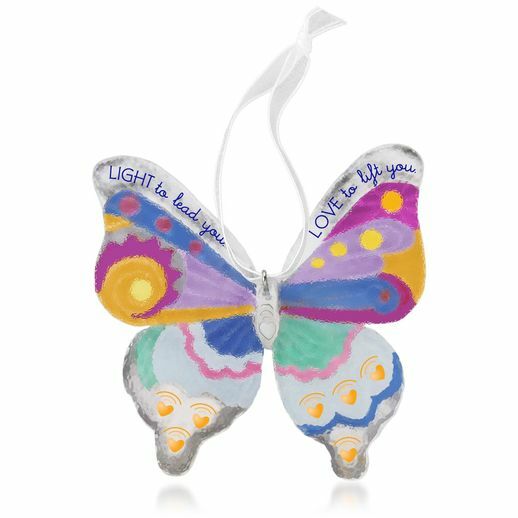 This beautiful glass butterfly ornament, inspired by Caring Bridge, is a symbol of healing hope and light. On ornament: Light to lead you. Love to lift you. What a beautiful ornament! I gave it as a gift.They love it! The ornament does not photograph well. It is luminescent, colorful, and thoughtfully appointed.